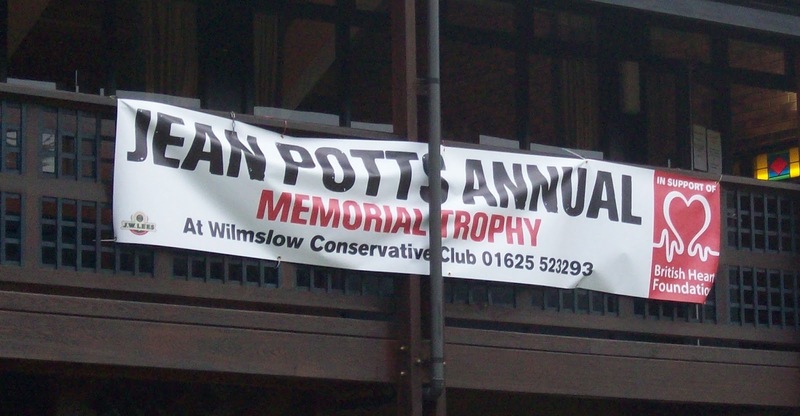 On Saturday May 19th the Club proudly hosted the 6th Jean Potts Memorial competition. This year saw the largest ever entry, with 31 mixed pairs battling it out for the coveted trophy. In fact, except for the final, all matches had to be reduced to 17 points to avoid a very late finish. While not as sunny and warm as in recent years, as usual the rain stayed away and an excellent time was had by all. Once again the charity aspect of the event proved to be a great success. A total of £350 was raised for the British Heart Foundation - the largest amount since the event started - with £240 from the raffle, £75 from food, plus another £35 from the Paul Michaels cabaret evening. Alan Potts would like to thank all those who helped made it such a successful day, especially the ladies involved with the food and committee member Tracy Wickenden for organising the evening's entertainment. The final was between Terry and Miriam Norman and Ian and Pam Wynne, with Terry and Miriam winning out in the end. 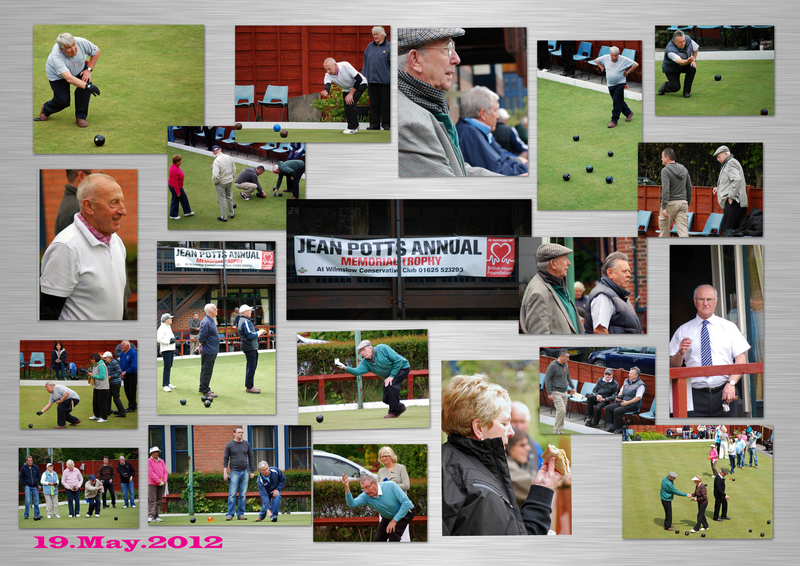 This specially constructed montage of the day was created by committee member and photography expert Brian Smith.